When Brooklyn, a 13-year-old diagnosed with Hodgkin’s Lymphoma in December 2017, was given the chance to make her wish come true, she decided to help others — 13 furry others, to be exact. According to the New Hampshire SCPCA (NHSPCA), Brooklyn recently received a wish from Make-A-Wish New Hampshire. Many kids understandably use this opportunity to meet a celebrity or travel to a fun destination with their family. Brooklyn told Make-A-Wish she wanted to rescue a group of needy puppies and find them forever homes. So Make-A-Wish New Hampshire partnered with NHSPCA to make this wish a reality. A group of baby dogs from a kill shelter were brought to NHSPCA to be part of an adoption drive hosted by Brooklyn at the shelter. 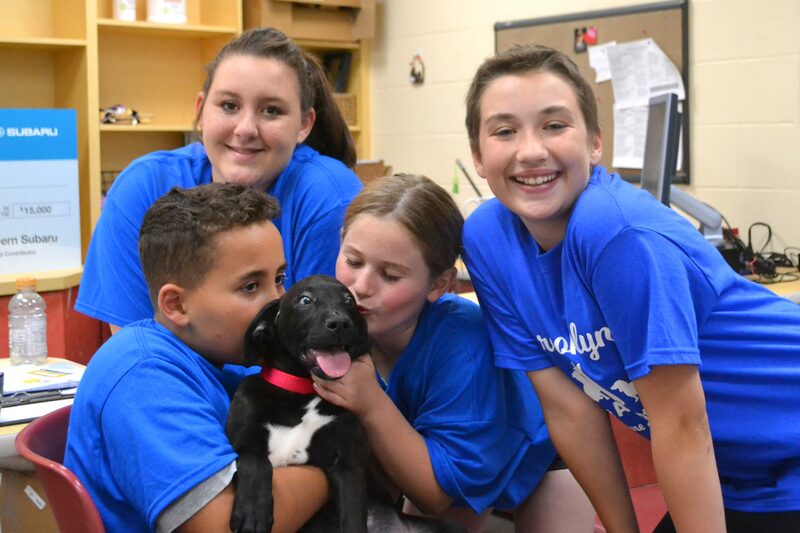 On June 30, Brooklyn arrived early at the NHSPCA to meet all of the puppies and learn about their personalities. 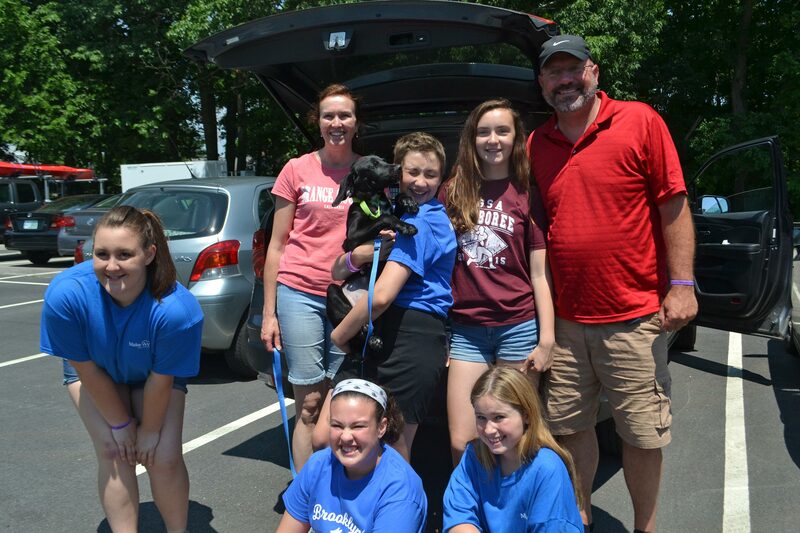 By the time the shelter opened its doors, the 13-year-old was ready to pair each pup with the perfect pet parent with a little help from her family, friends and NHSCPA staff — all of whom were wearing “Brooklyn’s Adoption Day” T-shirts. 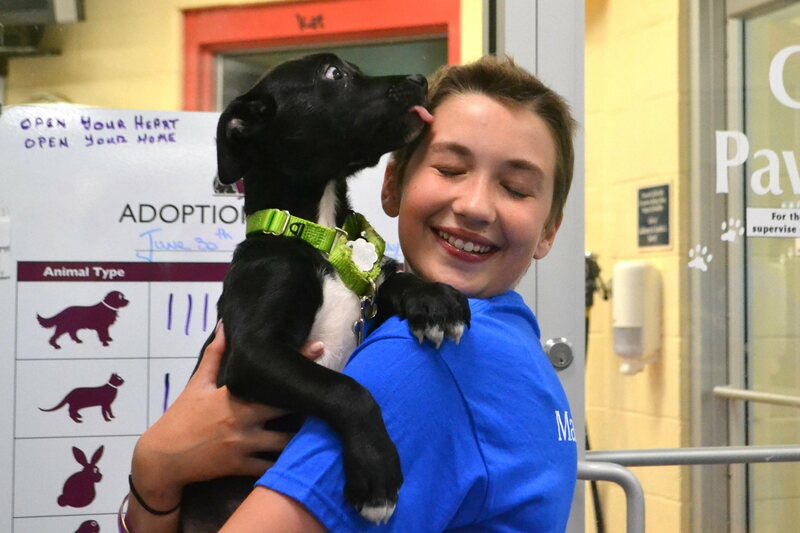 Brooklyn’s wish was a huge success: all seven of the puppies found homes, and three cats, two guinea pigs and an older dog were also matched with forever families as a result of the event. That’s 13 lucky animals who have a second chance at life thanks to one altruistic 13-year-old.